The More, The Messier: Not Too Well, Actually....Yourself? Well, we've gotten into a nice sort of routine here. Every Monday, Wednesday, and Friday, I torture Rachel by making her stand in the tub and cover her eyes while I pour Listerine over her hair. She screams. That's fun. Then she sits around in a shower cap for 2 hours until we wash it out. After that, I go through her hair looking for nits. That evening, I apply Cetaphil cleanser to her entire scalp and every shaft of her hair and then I blow dry it in. Also? We strip her bed and throw all her blankets and her coat in the dryer on high heat. 3 days a week, we do this. So today she says, "My head itches." I SEE NOTHING ON HER HEAD. No tiny black dots that are newly hatched lice, no bigger lice (gah), no eggs. I have mentioned my bug phobia, haven't I? 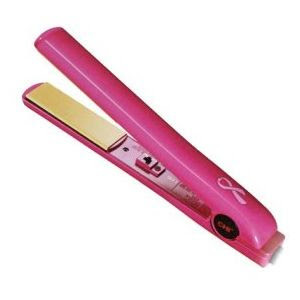 Oh, and every day I go through my own lovely tresses with the hair straightener. I figure, if I've picked anything up from Rachel, that heat has got to kill it. Right? Tell me I'm right. But don't worry - it's not like I have a serious work deadline this week that has required my staying up past midnight to edit documents until I see double. Nope. Not at all. And no one needs to eat around here either. Not one bit. So you actually get Saturday *AND* Sunday off? Wow, two days in a row! Omg. I had no idea it was that hard to get rid of lice. It's too bad you can't interest her in crew cuts like Team Testosterone just got. I'm so sorry this is still going on--every mom needs to do it once just to get her mom cred, but more than that is cruel. Lice went around this year at Laura's former school and since she sees a few of the affected girls in Scouts, I checked her head daily forever and ever amen. She never had any lice, but every day my head felt itchy. Now after reading your post my scalp is itchy again. Seriously. I'm sorry for the trouble you're having. It sounds like such a pain. Boo lice. The spray this woman makes is wonderful! I initally bought it for my dog(to prevent fleas-it does). I gave a bottle to my sister in law who works in the school system where lice are just rampant and it has kept her lice free. I've never heard of using Listerine. Just keep telling yourself, "This Too Shall Pass." It looks like you're doing a full frontal assault on these little buggers. They CAN'T survive this! If your daughter (or you) have long hair, it can't hurt to keep it pulled back during this fun time. Hang in there! Might be itchy because of all the harsh stuff being poured on her scalp? Or maybe she's picked up your phobia and the itchiness is psychological? I'm sorry you are going through this little hell. Think Lent! I agree with Faith--perhaps the alcohol in the Listerine is drying out her scalp and making it itchy. 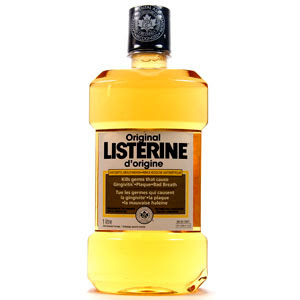 I'd never heard of Listerine as a treatment, either. My hair is extremely long now. I don't step inside my kids' school, or around any group of kids, really, without having it twisted up and pulled back. WOW! I didn't realize it took this long to get rid of lice. Hang in there! Surely it will be over soon!!!!! Oh, my goodness - you totally win. I've never burned mattresses. Yet. Oh Suburban Correspondent. I feel your pain. My husband would find reasons to take "necessary" business trips to places like Harlem and Newark just to escape my foaming, trunk driver mouth during our super-fun "lice parties." The only thing that made them go away was soaking with Cetaphil, combing through with the most awesome comb in the freakin world (Nit Free Terminator), then blow drying the crud out of the Cetaphil hair. Good luck. I ordered my comb online, but I did see it at an Ulta once. PTSD from lice. I have it. Mention the word and I start scratching. Say it again and I have to take a double dose of my mother's little helper. Ugh! ROTFLMBO! I just saw that you posted about Lice PTSD on HM's blog. Too funny! I hope you have wine on hand. or gin. Oh my, I have been there, done that. Not fun. I never heard of using these products. Hummm. I had to put stuff on my teenage daughter 3X before it killed those little suckers. The over the counter stuff didn't work. Oh, no I had to get the prescription stuff. It smelled like tar. Had to cover her head, and then she had to sleep in it. she had very long hair too, and wouldn't cut it. Uggg! I feel your pain. I don't think the curling iron will kill them, as they stay in the scalp mostly. Sure hope you don't get them. Been there. Its hell. Get the prescription. Or try mayonnaise in the hair in a shower cap overnight. Shiny hair bonus.